UPDATE 9/28/19 - This contest is now closed - Congratulations @countrycrazy! 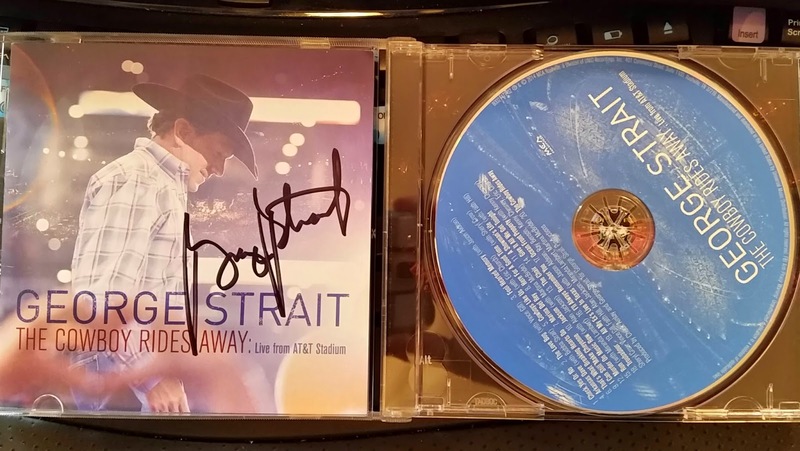 You are the winner of the autographed @GeorgeStrait "The Cowboy Rides Away" CD! He may have "ridden away" on his last tour, but George Strait will never ride away from the hearts of country music fans. We have a signed copy of George's latest CD, "The Cowboy Rides Away: Live from ATT Stadium" for one lucky fan! This is the ultimate collection of memories on one legendary cd consisting of 20 of George's greatest hits, all recorded LIVE from his last concert at ATT Stadium in Arlington, TX this past summer. The concert was one of the best send off's coutnry music has ever seen for a legend and one that we won't soon forget. Now one of you won't have to forget because you can listen to it over and over if you win this CD! If you're on Facebook - leave us a comment on the Lovin' Lyrics Facebook page under the contest post with the same phrase as the tweet above. We'll choose one winner on Sunday, 9/28. Check back to see if you're the lucky winner! Be sure to follow George Strait on Twitter at @GeorgeStrait and like him on Facebook at GeorgeStrait.